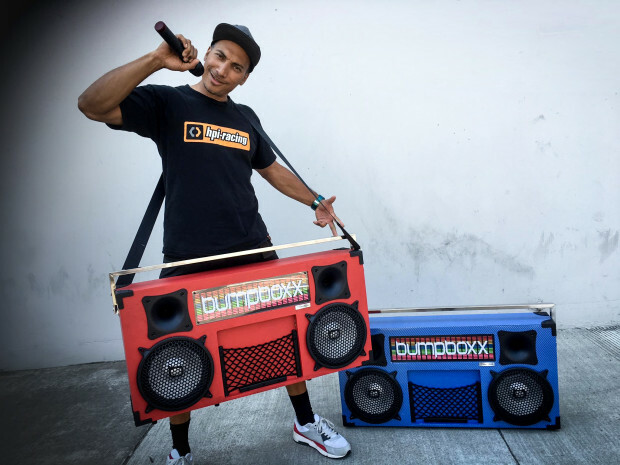 Yes… Yes… Yall… We have to give it up for Rob Owens and David Southern for resurrecting the Oldschool “Boom Box.” Following their passion for music to inspire and reconnect other music lovers to the “Boom Box” Experience. KJAMs Radio is honored to introduce to you, The Bumpboxx. Rob and Dave’s dream was to take the oldschool boom box, and combine it with new school technology, turning your music into food for your soul. 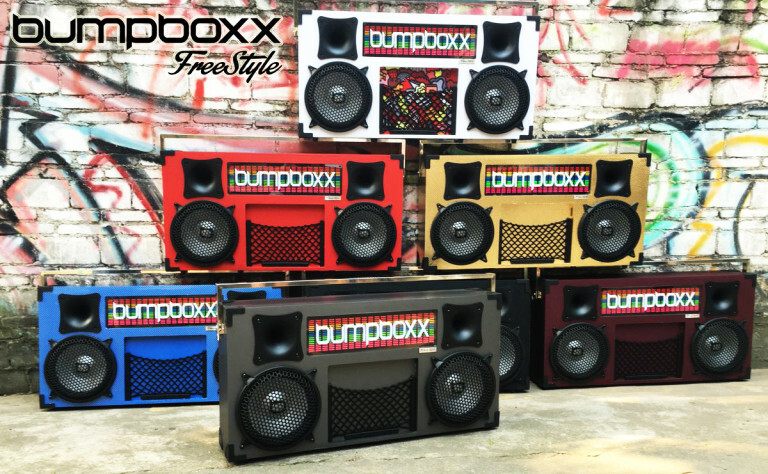 The Bumpboxx will be sure to bring back all the old school nostalgia, designed with two 10’ inch woofers that give you that deep rich bass that you love, complimented with two 4’ inch horns that balance out to produce a nice crisp sound. The new Bumpboxx comes with bluetooth technology, and two USB outlets to charge any device. The sound motion LED’s on the device display the perfect new school technology, and the best part of the box is the ability to plug in multiple music components to it. The side of the box gives you options to plug in every music connection you might own, and some you might not yet know about. Are you ready to read about the added value? The two bonus features on the Bumpboxx is that it comes with a remote control, and one wireless microphone that you can connect to it, as well as the capability to plug in an additional wired mic. They even attached a carry strap for you, and a mesh pocket on the front of it, to hold your streaming device, keys, wallet, and other belongings. When you discover it’s capability to link to multiple boxes, you just might not be content with having one; buyer beware. The Bumpboxx comes with a rechargeable battery that takes approximately eight hours to fully charge, and averages 6 – 8 hours of play time “Full Blast,” and 10-12 hours at mid-range volume. Rob and Dave have created a Huge Bumpboxx for you, so that you, and The Boxx, will stand out.